This is my first Christmas in Honey Springs (because I just moved here) and I have to say that I'm very excited about participating in all the annual activities, not only personally but also professionally. 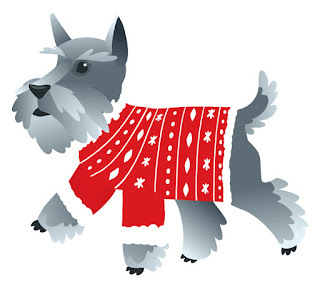 I entered Pepper into the Christmas Pawrade and so excited to see how cute he's going to look in his new sweater I got him from WALK IN THE BARK ANIMAL BOUTIQUE. Everyone I know with a furry friend will be there too. We get to walk around the town square before the annual Christmas Tree lighting where my fiance, Patrick Cane, is going to be playing Santa for all the little ones. Plus I opened up a pop-up shop in the makeshift Christmas town the committee had made in the town square. Everyone in Honey Springs will be there along with many tourist who have come to love our small southern town all year long and not just during the summer months. The tourist committee has really worked hard to get the stigma of a "lake town" out of the minds of the tourists. 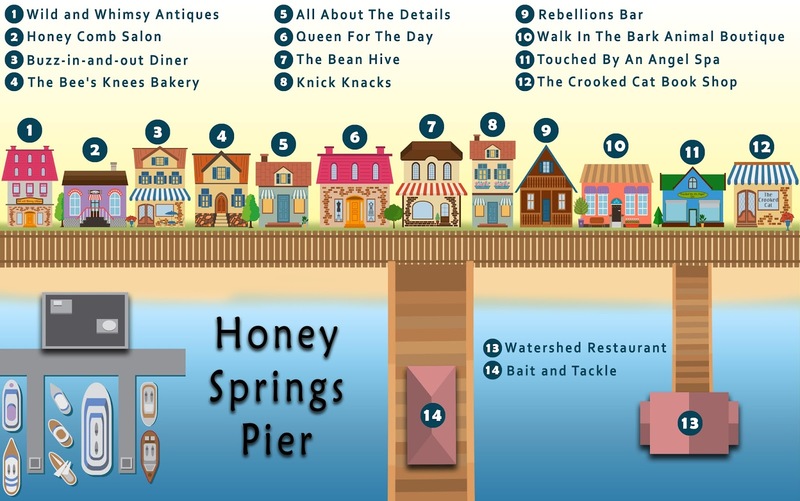 Honey Springs has something every season to offer everyone. I'm looking forward to seeing all the merchants I share the newly renovated boardwalk with. Especially Otis Peavler. He owns the tattoo parlor, Odd Ink. 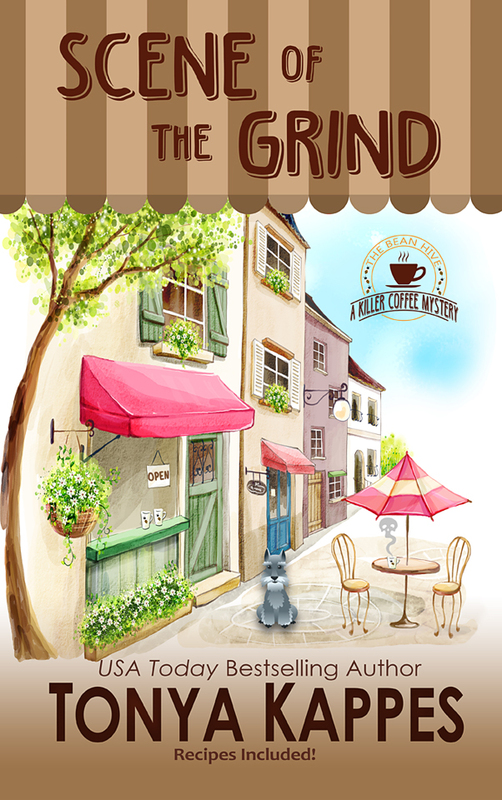 It's next door to my coffeehouse, THE BEAN HIVE, and he's been very quiet lately. I sure hope he's not getting ill. He's up there in age and still pretty active, but I guess I just worry about him. After all, I'd heard he'd made a few people mad recently. 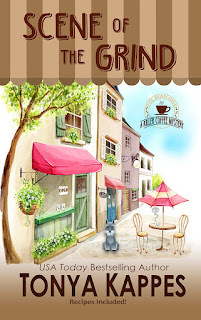 But that's just hearsay and around here the gossip is as hot as the coffee....if you know what I mean. Anyways....Do you have any holiday traditions that you love? 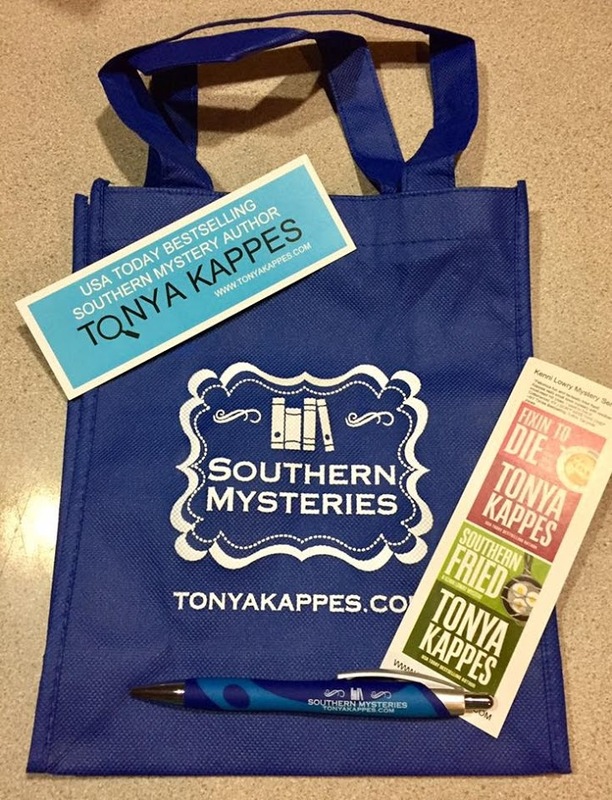 Leave a comment along with your name and email address to be entered to win a Tonya Kappes Southern Mystery tote bag along with some goodies! The winner will be announced tomorrow! 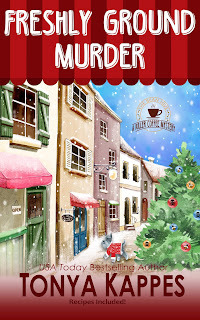 SPEND THE HOLIDAYS IN HONEY SPRINGS, KENTUCKY, where the gossip is as hot as the coffee! Check out Pepper the Schnauzer and all the people who live in Honey Springs here! If you’ve never been to Honey Springs….Check out the first book in the series for only $.99n for a limited time!! Enjoy this fun recipe you can make for your furry friends or even enjoy yourself! Preheat your oven to 325°F and line a baking sheet with parchment paper. In a medium bowl, whisk together dry ingredients. In a small bowl, whisk together molasses, water, and oil. Using a wooden spoon, slowly mix liquid ingredients into the flour mixture, stirring until well-combined. Roll dough out to 1/4-inch thick and cut out shapes, gathering dough and re-rolling as necessary. I use a cute gingerbread cutter. Bake for 20 minutes and allow cookies to cool on the baking sheet. 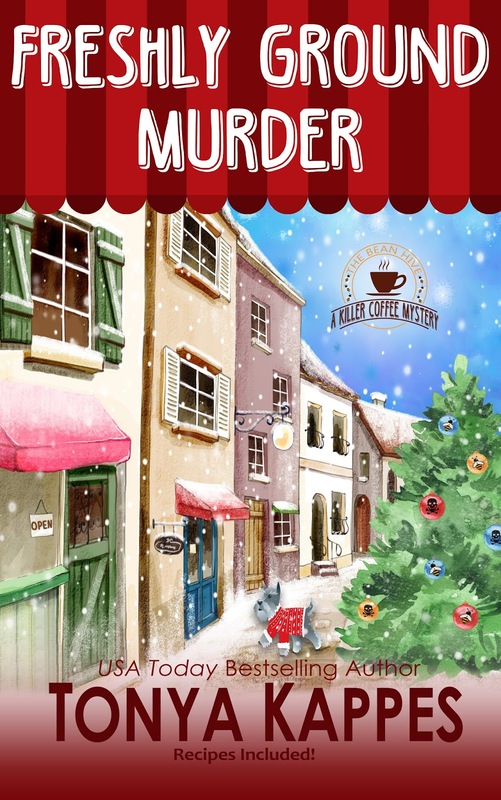 There are many more recipes in all of the KILLER COFFEE MYSTERY SERIES books! Check out Tonyakappes.com for details and a tab full of southern recipes for you to download and enjoy! Ours is to bring stocking gifts for everyone that we open after dinner. They are fun gifts and small but sometimes the best. We drive around with our kids so they can see the lights. I love to put up our tree, but to my cats surprise, it really isn't put up for them.. even though Boo takes claim even before we get it set up. She is a strange one. I also enjoy watching Christmas movies with my children, even though some make me cry.. the Polar Express is one of our favorites. Everyone gets new pj's on Christmas eve to wear for Christmas morning. On Christmas morning when it's time to unwrap presents, a gift is handed to everyone. Starting from youngest to oldest the person opens a gift. Everyone watches as the gift is opened completely, that way everyone gets to see what each other received and it makes the excitement and day last longer. We have always done it that way even if it takes us hours to open every gift under the tree. Thank you for this wonderful chance and all you do for your readers and fans. 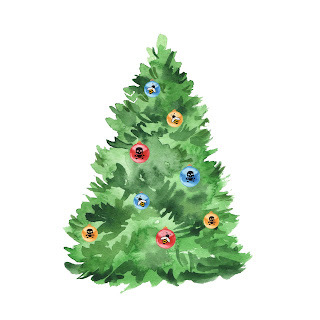 Wishing you and yours the very best this holiday season! Love taking the kids to look at lights! Pam Hager phager73 at gmail dot com Thanks for the chance! We go out for Chinese food, and catch a movie. It's wonderful family time. Buzymom2008 at wowway dot com. I spend Christmas eve at my sisters.My whole family and I have Christmas eve dinner, then open gifts, followed by dessert. We take the great-niece and great-nephew out to look at the Christmas lights. We get together at my sisters on Christmas eve. When my parents were still with us we had lots of traditions and hopefully my brothers are keeping up the one my dad the most, just being together on the holiday. We just moved in Aug. so can't go back but I will be calling. pgenest57(at)aol(dot)com Thank you for chance!! We drive around as a family, the one time we are not all going in different directions, to enjoy Christmas lights. My four kids, their kids, and great grandkids come to our house and have eats and open presents on Christmas eve...........terrysaunders29@hotmail.com....Merry Christmas. I love riding around as a family to see all the lights. Although our Christmas has changed over the years, it’s good to cherish old memories and create new ones. We just downsized and moved in our new home this year at the opposite end of the state. Been a lot of adjustments including this Christmas decorating since there’s not the room to put up the seven Christmas trees of the past. However, we will have new experiences and joys this year as we celebrate Christmas making new traditions and memories. Our tradition is to make butter cookies and pumpkin pie. Will probably have to start something new this year as we moved into our RV and not as easy to do all of that in such a small oven. I can just see it--they use honey for comb overs at the Honey Comb Salon! We open our Christmas gifts on Christmas Eve. This is a hold over from my childhood when Santa came while we children were running an errand with my Dad. Mother was always pointing at the sky when we returned, yelling to look for Santa. Christmas Day was reserved for visiting Grandmothers, cousins, Aunts, and Uncles. My husband and I have been driving up to St. Marys, Georgia (a small town just north of us) for several years to see a children's Christmas pageant held on the lawn of an historic property. Some good friends moved there, so for two years (this is the 2nd) we have been meeting them for the pageant and going to dinner afterwards. Last night we "officially" made this a Christmas tradition for us. My husband and I also love to go to see the Nights of Lights in St. Augustine, Florida (not quite an hour away from home). One of my lifelong friends and her husband ride there with us...it is an event that should not be missed. We still need to set a date for this year, but it will happen. I love our traditional Christmas breakfast. Everyone pitches in and helps and we all have giggles and fun! The one tradition we have kept.We always went to Candlelight service at our church,then as we all got married we continued and all my great nieces and great nephews came then Mom would have out a little Christmas eve snack. It would be little finger sandwiches,punch,hot cocoa and home made cheese ball with crackers,relishes,and of course a few home made candies and her homemade Christmas cookies,then we would gather as we read the Christmas story of Jesus Birthday. Then....we exchange stocking gifts. Now this was so fun because the gifts were simple and sometime funny or sometime very useful. It filled our family room with laughter and the smells of the season. I have continued that since I live many miles from home. I invite friends to the house and have that same tradition. It warms my heart and makes me feel I am with my family!! When I was growing up, we were not allowed to go downstairs until daddy got up and went down and turned on all the lights. Santa decorated the tree when he came on Christmas Eve so it was such a joy to go down and see the magic for the first time. I did it for my kids until they stopped believing and, boy, did I learn to appreciate what my parents had done for me. My favorite tradition is decorating while playing Christmas movies. This starts my season and makes me smile. Baking cookies with my niece. My best friend has a Christmas party every year, since we were kids, so it's been going on well over 30+ years. Last year we realized we now had the role of her parents and our kids were us! Where did the time go! No special traditions, just eating turkey and pumpkin pie. I also watch Christmas movies and on Christmas Day there'll probably be a Disney Christmas celebration to watch. My mother is ordering some books for us from the Edward Hamilton Bargain Books Catalog. They might not get here until after Christmas, but we're each getting seven books. Mine are mostly historical mysteries and a couple Sherlock Holmes books by modern writers. Your coffee series sounds great. Of all your books, this is probably the one that appeals to me most. Only Holiday traditions we have here is 2 Family Christmas dinners before Christmas. One with the whole Inboden family. And the other Just brothers, sisters, etc. And on Christmas day we talk on the phone with our grand kids since we don't get to see them on Christmas day. Our traditions my daughter and I watch our favorites Christmas movies together throughout December. As she spent Christmas Eve day at her dad’s growing up. She would open 1 present Christmas Eve night . Then she and I always have breakfast and presents on Christmas morning. Then it’s off to my parents to have Chritmbwith the rest of the family. For the holidays we open gifts on Christmas Eve and stockings on Christmas Day. We always ham and some side dishes for dinner.